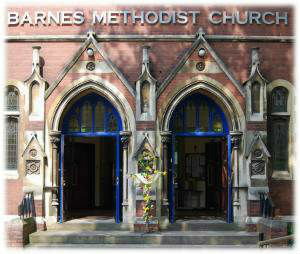 A happy and friendly congregation that welcomes people of all ages and backgrounds. We worship together every Sunday at 10.30am. Please do join us. and an active member of Churches Together in Barnes. by commiting ourselves to worship, learning, caring and service. about coming for the first time then know that you will be very welcome.